4.8" x 6.6" stitched on 14 count. 3.7" x 5.2" stitched on 18 count. 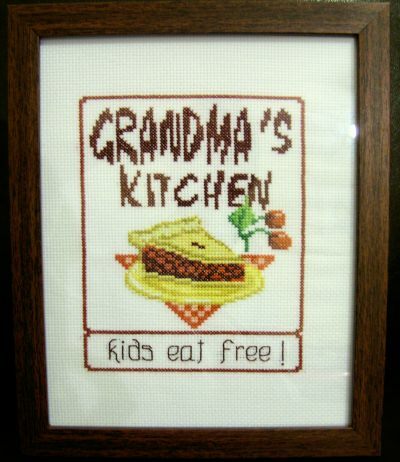 Grandma's Kitchen cross stitch pattern... Grandma is famous for her pie, of course.